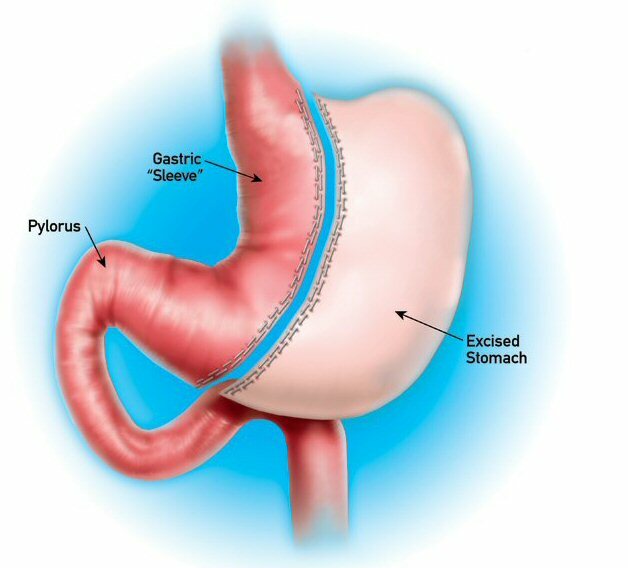 Laparoscopic Sleeve Gastrectomy (LSG) is a restrictive weight loss operation. Using modern techniques the procedure can be performed using minimally invasive ‘keyhole’ technology – laparoscopic surgery, hence the term ‘Laparoscopic Sleeve Gastrectomy’. During the procedure, the outside portion of the stomach is removed, changing the stomach shape to a long narrow tube called a sleeve. The gastric capacity is reduced from approximately 1.5 litres to 200 ml. This allows a person to feel comfortably satisfied and full with a meal size approximately equivalent to ½ to 1 cup of food. Despite being smaller, the stomach sleeve still functions normally- food and nutrients continue to enter and leave in the same way, acid continues to be made to assist in digestion, and essential vitamins and minerals such as B12, calcium, folate and iron can be absorbed normally. The major reduction in stomach capacity allows patients to become satisfied with a much smaller meal, providing portion control. 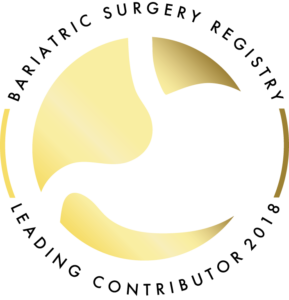 There is a marked and sustained reduction in the levels of the hunger hormone Ghrelin, as the removed part of the stomach is rich in cells that make that hormone. Patients consistently report feeling less hungry between meals. There appears to be a change in the way that high calorie foods are handled by the digestive tract. Patients frequently report losing their taste for foods high in sugar and fat such as chocolate, fried food and soft drink, which seem to make them feel more bloated, unsettled, or queasy. Dietitians like this aspect of the sleeve – it can help patients adopt healthier eating habits. The disadvantages are that it is irreversible, and has a slightly higher surgical risk than gastric banding surgery. This will be discussed at your appointment with Dr Ramsay. As with any weight loss surgery procedure, lifestyle changes need be made in order to maintain long term weight loss. It is important to understand that weight loss surgery requires a life long partnership between patient and the surgical team, requiring long-term follow up care to ensure the best possible results are achieved.